Printed circuit boards (PCB) play an essential role in the overall functionality of electronic devices. The performance of your PCB will depend on how the board itself is arranged, along with the type of cabling that is used. The cable assembly and other components that you choose for your PCB will directly determine the overall performance of your electrical system. As crucial as PCB cable assembly is, many people tend to focus on this part of the process as the final piece. The reality is that your cable assembly consists of many different components that affect the entire electrical system. For example, connectors determine device compatibility, while conductors determine the efficiency of the current flow. Therefore, you should put more focus on how your PCB cable assemblies are carried out. Choosing the proper components for your cable assembly or wiring harness is an intricate process. The following components will be critical to how your final cable assembly will operate. Any cable assembly begins with a network of circuits or conductors. These circuits are the primary channels of electrical flow, and they can profoundly impact performance. A typical circuit consists of the conductive material, stranding (to connect separate conductors), and plating. In most cases, copper is the conductive material of choice. Not only is it cost effective, but it also works with many different types of coatings. It can be used across multiple cable assemblies to limit corrosion and to facilitate current termination. Because copper can be prone to corrosion, it is typically coated with other materials to increase durability. And if additional breaking strength is necessary, alloys such as copper-steel, copper-chromium or copper-cadmium are used. 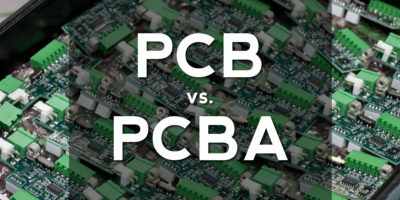 Depending on the assembly of your PCB, you can choose between a solid piece of conductor or multiple thin strands. Thin strands are used if you need to maintain a flexible PCB assembly that isn’t limited by solid wires. 2. How will the cable assembly be insulated? After you choose an appropriate conductor, you will next need to determine how the cable assembly will be insulated. There are two primary materials used for insulation purposes- thermoset and thermoplastic. Your choice will depend on the conductors you’re using, the specific application of your device, and the nature of your PCB assembly. You should also consider the following additional factors when selecting an insulator material. Proper insulation will protect the underlying layers against these external conditions and ensure durability over time. Luckily, there are many materials suitable for many different environments. You can even foam the insulating material to provide maximum resistance to chemical interference. Your cable assembly will be exposed to electromagnetic environments regularly. Therefore, you need a material that can shield the conductors against interference so that you don’t experience any dips in performance. The most cost useful option is a thin metal foil that is held together by polyester. This shielding material is highly flexible and effective at high frequencies. You can also use a series of small-diameter wires (called a braided shield) to filter out electromagnetic interference. Braided shielding is effective at low frequencies and has excellent flexing. Another thing to remember is cable twisting. You should select a twisting conductor that facilitates effective flow of current even when individual cables (in your assembly) need to be twisted. The outer sheathing/jacket is responsible for protecting the underlying cable assembly. It needs to be tough, fire resistant, chemically resistant, and flexible enough to facilitate easy movement. Some outer jackets also need to conduct electricity to a certain extent, depending on the specific application. 5. Which Connectors should you use? Connectors are another important decision to make, as they will determine overall compatibility. Connectors will also affect performance depending on the type of signal being used as well as its speed. Welded connectors form a more reliable path for high-speed signals. However, signals sent through the actual assembly will still perform well with crimp connectors. Such connectors are also more flexible as they can be easily swapped depending on the device being used. Finally, you should pay attention to the required safety standards that govern your cable assembly. Safety standards will vary by location, as different governing bodies operate in different countries. In North America, CSA and UL are the primary regulatory bodies. When designing a cable assembly, consider your specific region and the relevant certifications and safety standards required.